At the end of another busy week at Twerton Park, City can confirm a third new signing with the arrival of Ryan Brunt from Exeter City. The former Bristol Rovers and Plymouth Argyle striker spent the 2017-18 season with Exeter after a serious knee injury in March 2015 whilst with the Pilgrims sidelined him for nine months. Despite a return to full fitness he couldn’t break into the Grecians first team and was released in May 2018. The 25-year old’s availability attracted interest from a number of clubs but he accepted City’s offer and we wish him all the best during his time with the Romans. 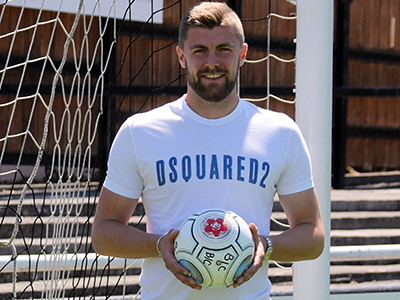 Along with fellow new arrivals this week, Adam Mann and Robbie Cundy, Ryan will join up with the rest of the squad tomorrow (Saturday 30 June) as pre-season training gets underway.